Metal turned on his partners and feuded with Torero. Janeth was at ringside, interfered a lot, had garbage thrown at her, and Antonio Pena took her to the back. 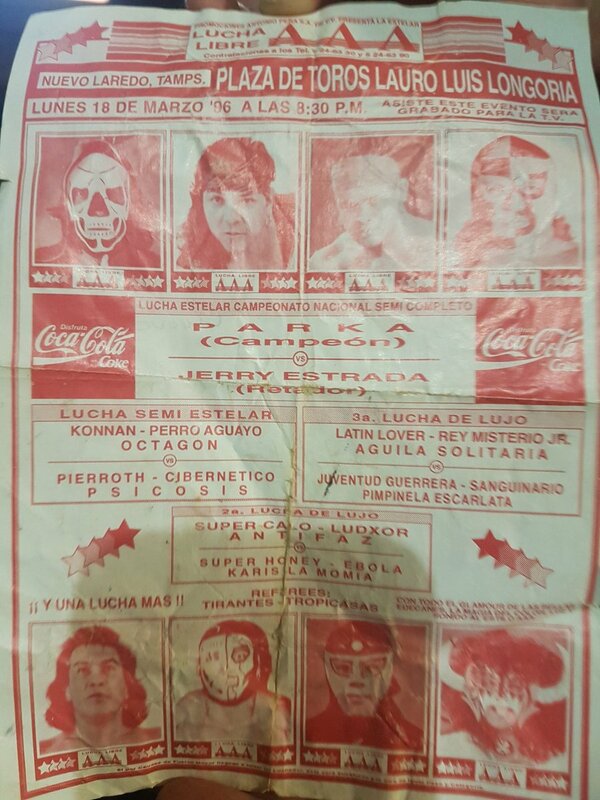 Ultimo Dragon's AAA debut, and the match where Pentagon died for a few minutes. tournament final. Metal & Caras turned on Latin Lover. Event Notes: Octagon introduced Pantera as coming to AAA. Pantera was the current CMLL Welterweight Championship and announced he'd be returning the title. 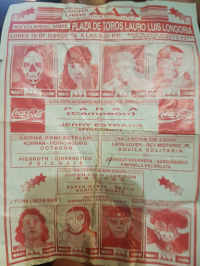 1) Karis La Momia, Villano III, Villano IV, Villano V DQ Blue Demon Jr., Halcón Dorado Jr., Máscara Sagrada Jr., Tinieblas Jr.
4) Konnan, La Parka, Octagón b Cibernético, Heavy Metal, Pierroth Jr.
7) Azteca, Depredator, Khan b Cibernético, Metal, Pierroth Jr.